Chechnya has introduced new laws to try and stamp out the practice of men kidnapping their brides. At first, it may just seem like a quaint custom, but for the women involved it can often be unwanted and traumatic – in some cases it may end in death. Bride kidnapping was seen by many in the Russian republic of Chechnya as a ritual rather than an outrage. For centuries it has been tradition for a man to simply choose the woman he wants and forcibly take her. However, religious leaders in the republic strongly disapprove, and new laws have been introduced to curb the practice. There have been cases when kidnapping has ended in tragedy. Iman, a young Chechen girl, went out shopping while her family stayed at home. While she was out on the street a man and his accomplice grabbed her, jumped into a car and sped away. Aisha, Iman’s sister, heard Iman shouting and went outside. She saw the car with her kidnapped sister crashing into a big truck, a short way down the road. All the passengers were killed. “It was an awful tragedy. The car was just a piece of metal – you couldn't tell what car it was,” recalled a witness. The girls who have been kidnapped rarely bring the matter to court – to do so would be considered a disgrace. But they never forget their experience. Mizana was abducted 40 years ago. She recalls how one day she left a shop and was heading home when kidnappers forced her into a car. Among the several men in the vehicle, Mizanna knew no one, and could not even guess who she had been stolen for. She found out only on the second or third day. Lost and frightened, she had no choice but to stay with her kidnapper, whose youngest daughter was almost her age. Two months later Mizana ran away, but her life was changed forever. Now that Chechnya is getting tough on the practice, many families may be helped. 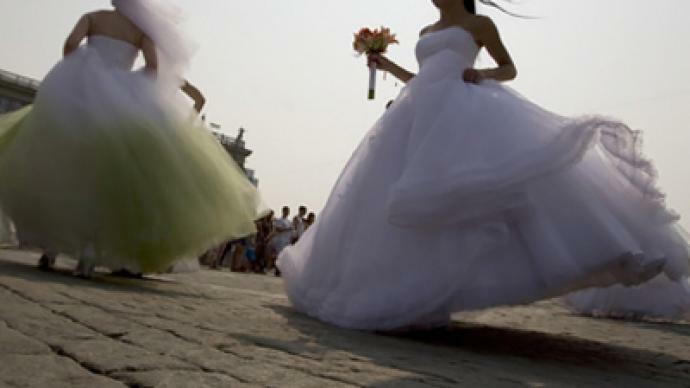 With the new laws coming into force, bride kidnappers will face a prison sentence and will have to pay over US$ 30,000 in fines to the girl's family. Even religious leaders pushing a girl to marry her kidnapper will be punished. But even though there appears to be strong support for the new legislation, girls in Chechnya have yet to see whether the old tradition has really met its end.